The 2017 Show will be held on Friday 7, Saturday 8 and Sunday 9 July and has something for the whole family. Open from 8am to 6pm every day, the Show is a wonderful day out with plenty of displays, entertainment and local food. 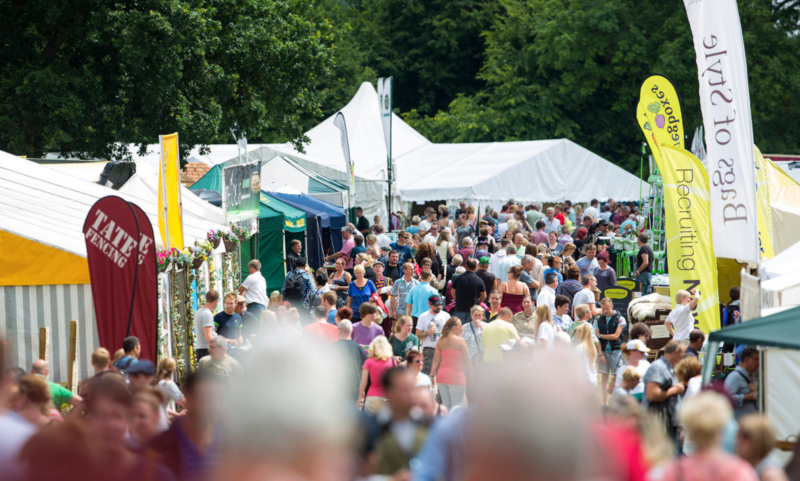 With over 400 exhibitors and trade stands and over 300 competitions, activities and displays. Following the incredible success of the 2016 Show, 2017 will be an exciting year for all aspects of the Show. Visitors will experience a more hands on Show with better access to the cattle marquee, shire stables on site, flower and woodland craft workshops, cookery demonstrations, more live music and the Why Farming Matters Discovery Zone. Our main ring displays will be confirmed in the New Year.